The Ritz-Carlton, Riyadh, a luxurious hotel in the Saudi Arabian capital, has received a 2017 TripAdvisor Certificate of Excellence. 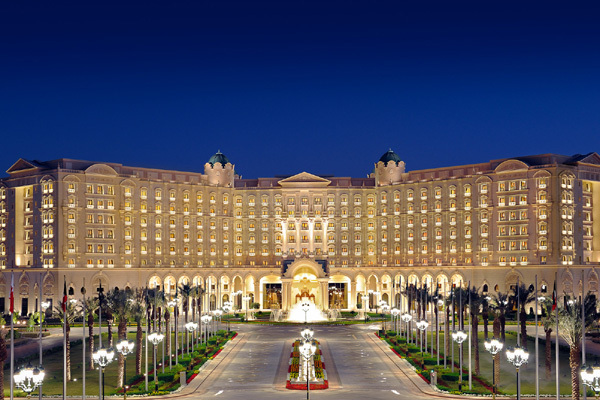 Now in its seventh year, the five-star hotel has been chosen as a top visitor choice for its excellent hospitality and services in Saudi Arabia’s capital. The palatial hotel has also received the same distinction for two of its restaurants: namely, Al Orjouan, an all-day diner and Hong, serving traditional Chinese cuisines. Awarded on the basis of quality, quantity and recency of reviews submitted by travellers on TripAdvisor over a 12-month period, the Certificate of Excellence annually celebrates global hospitality businesses. To qualify, a business must maintain an overall TripAdvisor bubble rating of at least four out of five and a minimum number of reviews. The achievement celebrates Certificate of Excellence recipients include accommodations, restaurants and attractions located all over the world that have continually delivered a quality customer experience.